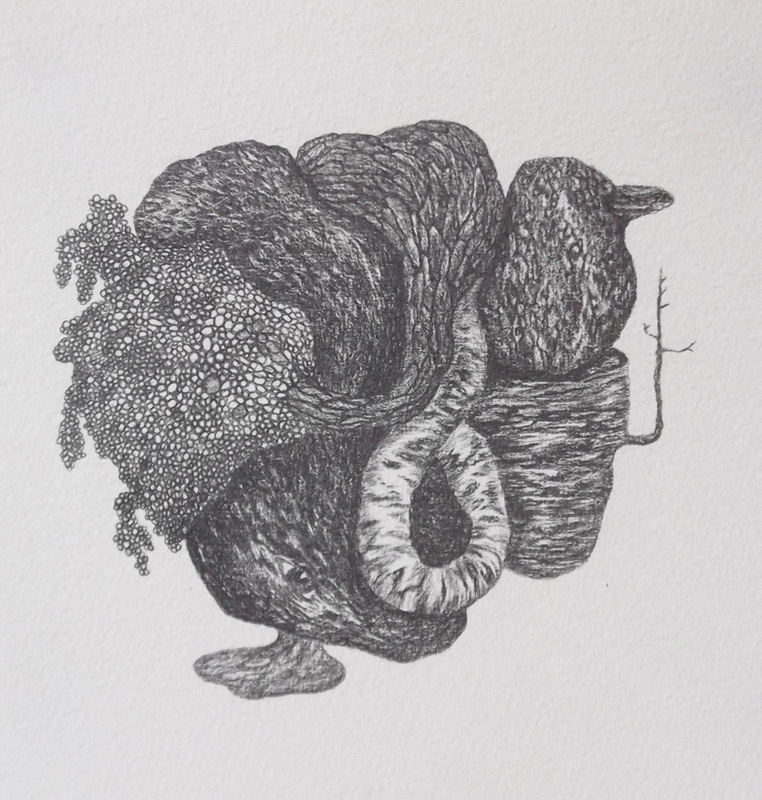 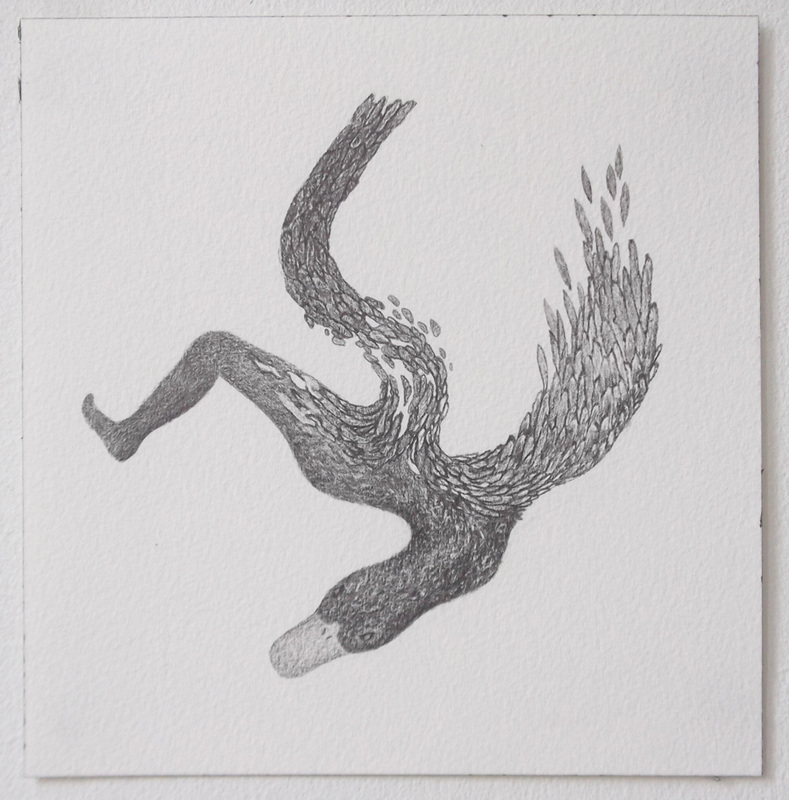 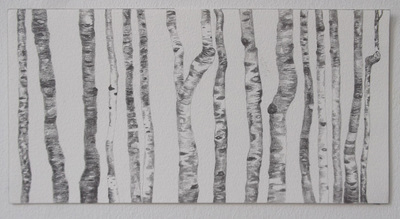 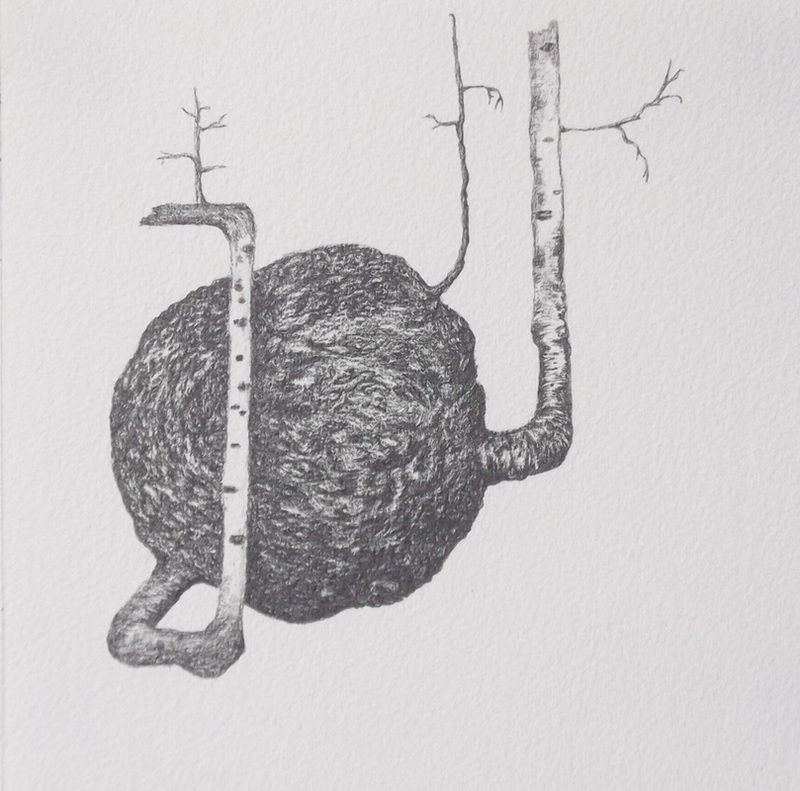 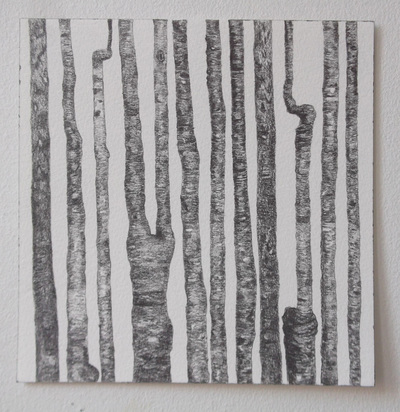 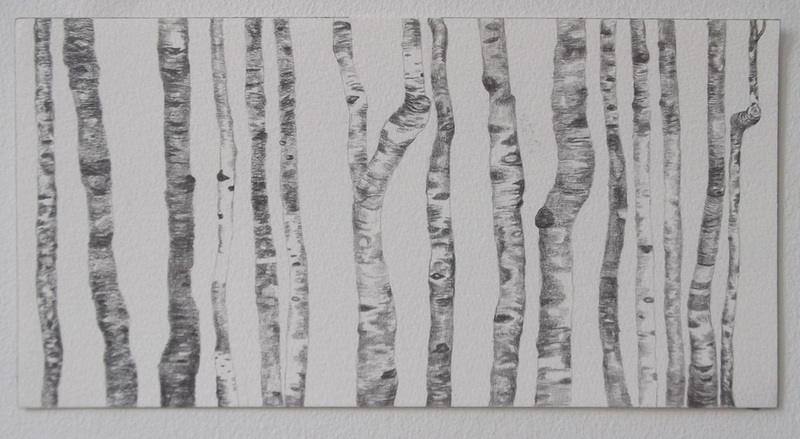 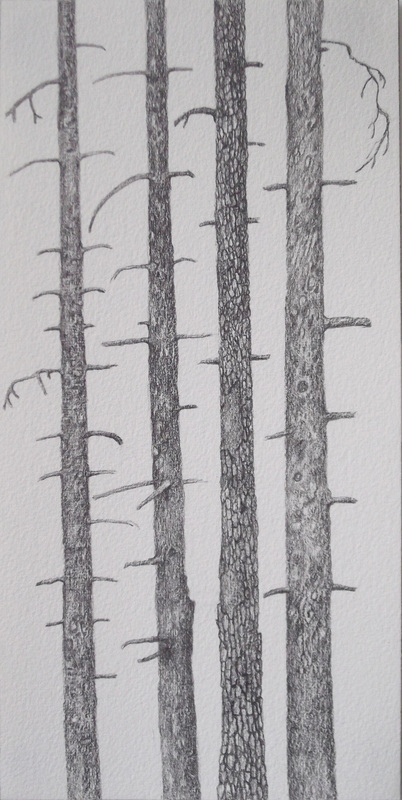 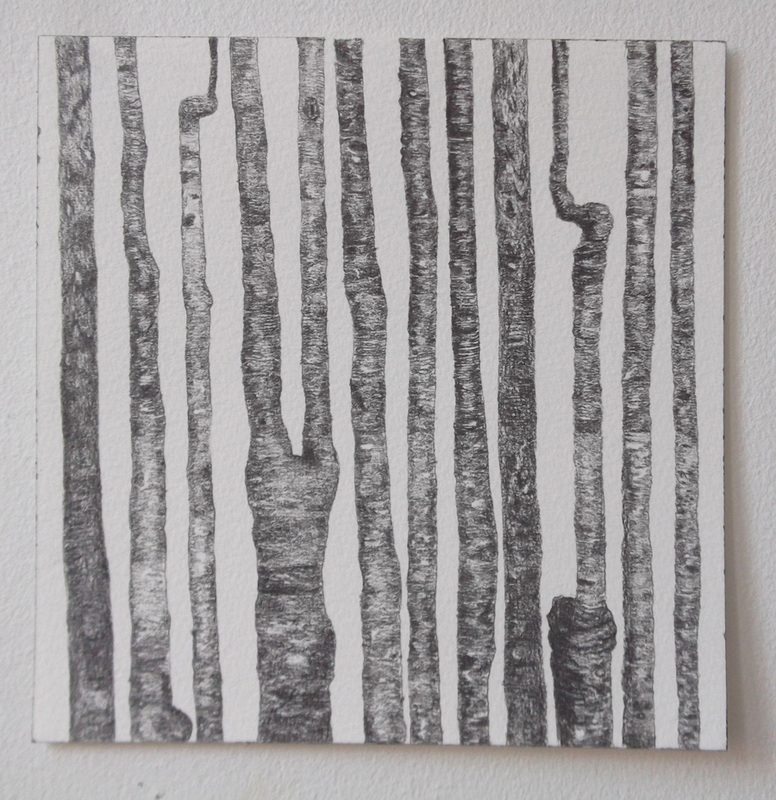 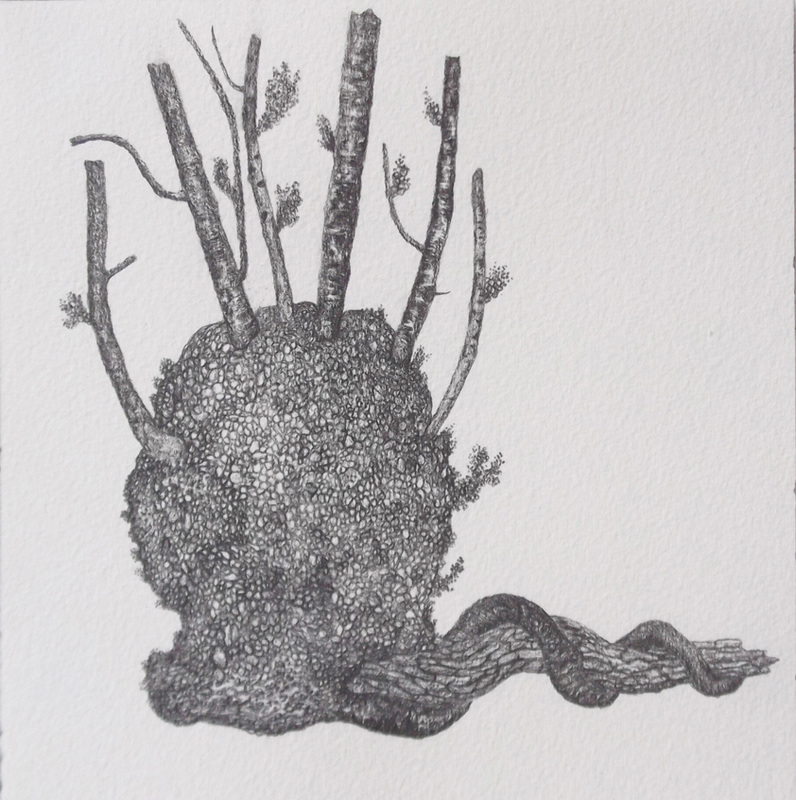 Metamorphosis is a series of small drawings inspired by the forest and its inhabitants. In summer 2014 I made daily walks in the forest during summer and was fascinated by the strange shapes, and creative ways of the trees, plants, birds and other animals. The series was exhibited at Bryne Kunstforening 2015.